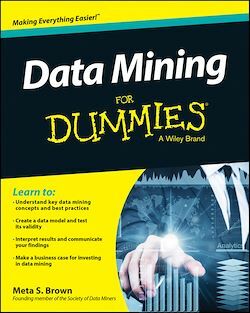 Data Mining for Dummies takes you step-by-step through a real-world data-mining project using open-source tools that allow you to get immediate hands-on experience working with large amounts of data. You'll gain the confidence you need to start making data mining practices a routine part of your successful business. If you're serious about doing everything you can to push your company to the top, Data Mining for Dummies is your ticket to effective data mining.